A while ago I received a call from a book publisher in Germany asking permission for my name to be used in a book about hand-painted porcelain. As this request was both random and mysterious I asked for more information and learned that Keiko Shimizu, an internationally-recognized artist saw one of my pieces and was inspired enough to create a painted porcelain piece she titled "Ode to David Patchen." Looking at her work I knew exactly which piece she was inspired by--a work that was sold by Gallery Sikabonyi in Vienna. Aside from being flattered, I was amazed that a glass made in San Francisco that incorporates color from New Zealand (my color supplier) that was sent to Austria ended up influencing a ceramic artist in Japan. It's also an example of part of the way the creative process can work. Artists since recorded history have been inspired by each other and often work in a thematically similar style. French impressionism is probably the best-know example of many artists working together yet taking the style they share in their own personal direction. While art experts often enjoy identifying the characteristics that painters from the same 'school' share and placing great emphasis and value on how they each took it in their own direction, glass is unfortunately different. I've found most art critics/enthusiasts/curators treat glass art differently than painting by rather than of seeing the linkages and commonality in a style as context to an artists work over time and appreciating the originality that separates individual artists' work, critics often spend their energy seeking critical comparisons. So where painters are of a 'school', glass artists are 'ripping off' each other. 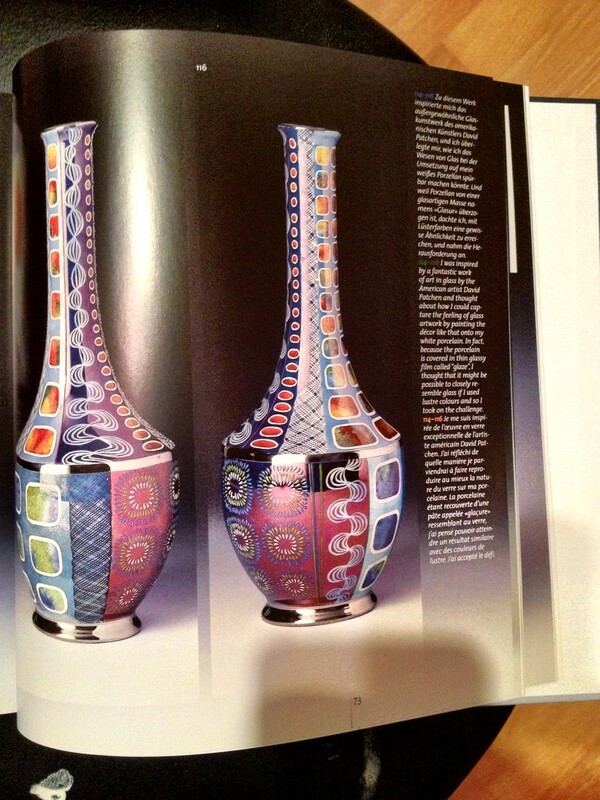 I'm not speaking of directly duplicating one artist's work (see Robert Kaindl vs Chihuly). From my perspective, this comparitive criticsm rather than seeking out and appreciating the artists' aesthetic originality only illustrates how young glass is when considered as an artistic medium.